Cdks are the catalytic subunits of serine/threonine protein kinases which are involved in the progression through the cell cycle. The catalytic activity of these kinases requires interaction with cyclins, which are synthesized and degraded during the cell cycle in a cyclical fashion. CDK1/CycB complexes regulate several events during both, the G2-M transition and mitosis. Active complexes undergo translocation to the nucleus and phosphorylate nuclear substrates, which are necessary for mitotic onset. 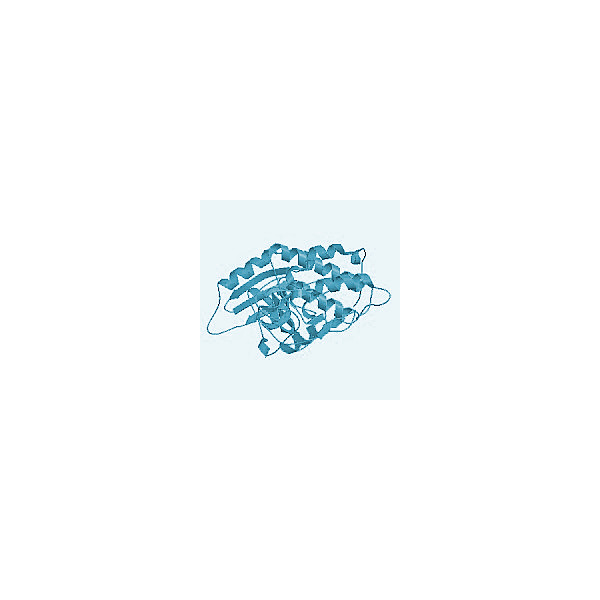 Cytoplasmic CDK1/CycB is involved in regulatory and structural processes, such as chromosomal condensation and fragmentation of the Golgi network. The inactivation of CDK1/CycB complex is accomplished by degradation of cyclin B by anaphase-promoting complex, allowing mitotic exit and cell division. Recombinant human cyclin-dependent protein kinase CDK1 (cdc2), coexpressed in complex with Cyclin B.
Brizuela L, Draetta G, Beach D (1989) "Activation of human CDC2 protein as a histone H1 kinase is associated with complex formation with the p62 subunit." Proc Natl Acad Sci U S A. 86(12):4362-6.